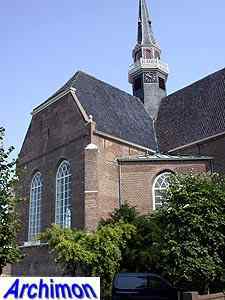 Coevorden had suffered from great damage during the Eighty Years War. 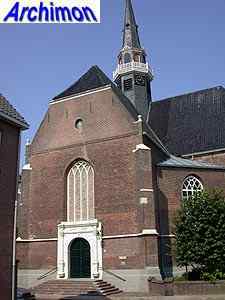 When the protestants captured the town permanently in 1594 they also won the privilege to use the old church. Only, what was left of that church was in a bad state. 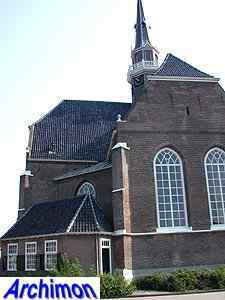 Instead of repairing it a new protestant church was built in 1641-1645. 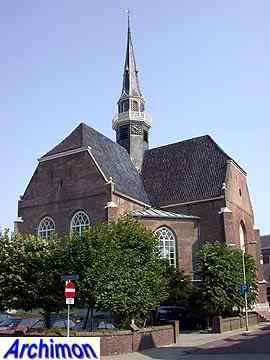 It's of a type typical for protestant churches of that period; a centralized building in Classical style, albeit rather modest, with a ground-plan in the shape of a Greek cross, with additional spaces in the corners between the arms. 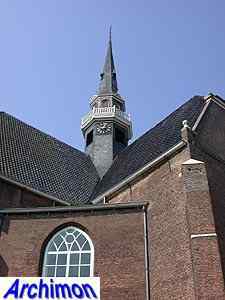 Constructional drawings of the Noorderkerk in Amsterdam and its copy in Groningen, the Nieuwe Kerk, were used for inspiration. 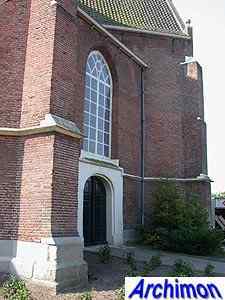 The church was damaged during the war of 1672-1674 and was repaired in ca. 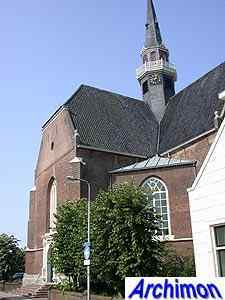 1682. On top is a crossing-tower which dates from ca. 1890 and which replaced a previous, smaller one that was destroyed by fire.